Mary Ann Hoberman has published more than twenty books for children, including the American Book Award winner A House is a House for Me, illustrated by Betty Fraser. She and her husband live in Greenwich, CT.
MARLA FRAZEE has illustrated many acclaimed picture books, some of which she also wrote. Her picture book A Couple of Boys Have the Best Week Ever was named a Caldecott Honor Book. She is also the author and illustrator of Walk On! A Guide for Babies of All Ages; Santa Claus, the World's Number One Toy Expert; Roller Coaster; and Hush, Little Baby. 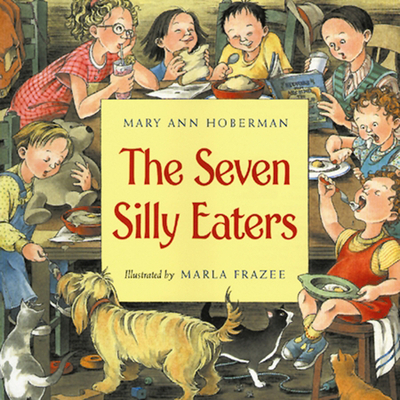 She is the illustrator of Everywhere Babies by Susan Meyers, The Seven Silly Eaters by Mary Ann Hoberman, Harriet, You'll Drive Me Wild by Mem Fox, and more. Marla Frazee lives in Pasadena, California. Visit her website at www.marlafrazee.com.